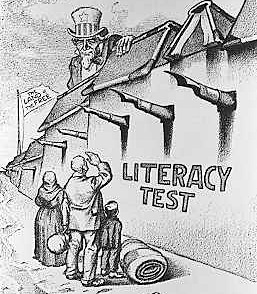 1917 – The Congress of the United States passed the Immigration Act of 1917 over President Woodrow Wilson’s veto. Also known as the Asiatic Barred Zone Act, the law barred Asiatic laborers, except those from countries with special treaties or agreements with the United States, such as the Philippines. Further prohibitions expanded an existing list of “undesirables,” adding epileptics, alcoholics, political radicals, anarchists, criminals, people suffering from contagious diseases or with mental or physical disabilities, and people who were poor. Subsequent immigration to the United States sharply declined, and, in 1924 a law was passed requiring immigrant inspection in countries of origin, leading to the closure of Ellis Island and other major immigrant processing centers. The Asiatic Barred Zone was in effect until passage of the Immigration Act of 1952. 1918 – Anchor line steamship Tuscania, traveling as part of a British convoy and transporting over 2,000 American soldiers bound for Europe, was torpedoed by the German submarine U-77. 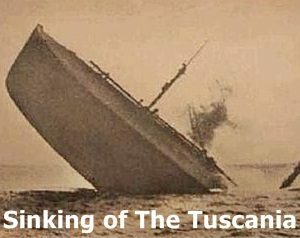 Lieutenant Commander Wilhelm Meyer spotted the Tuscania and its convoy just eight miles off the coast of Ireland. After moving into position, Meyer fired two torpedoes. The first torpedo missed, but the second scored a direct hit on the starboard side, causing a terrific explosion. The 14,384-ton steamer immediately took a great list and crewmembers were plunged into darkness as they began lowering lifeboats into the sea. Of the 2,397 American servicemen on the Tuscania, the convoy was able to rescue 2,187, along with the majority of the ship’s British crew. 1937 – President Franklin Roosevelt announced a controversial plan to expand the Supreme Court to as many as 15 judges, allegedly to make it more efficient. Critics immediately charged that Roosevelt was trying to “pack” the court and thus neutralize Supreme Court justices hostile to his New Deal. The proposal offered retirement at full pay for all members of the court over 70. If a justice refused to retire, an “assistant” with full voting rights was to be appointed, thus ensuring Roosevelt a liberal majority. 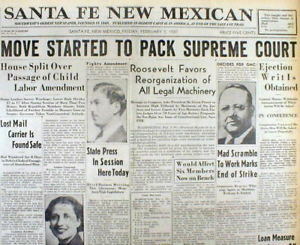 In July 1937, the Senate struck the proposal down by a vote of 70 to 22. 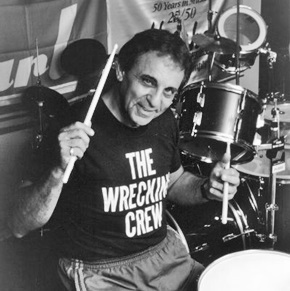 1929 – Session drummer extraordinaire Hal Blaine (born Harold Simon Belsky) was born. He’s 90 today! Blaine is the most prolific drummer in rock & roll history. By his own estimate, he performed on over 35,000 recorded tracks in a quarter century’s worth of work. He played on 150 songs that reached the Top Ten – with 40 of them reaching #1 … and yes, you’re damn right I’m going to list all of those #1 songs. 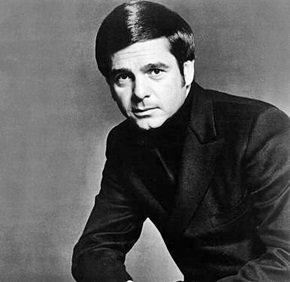 Hal Factoid #2:When Glen Campbell recorded ‘I’m Not Going To Miss You’ in 2013, Hal Blaine, his former Wrecking Crew colleague, was there on drums … at 84 years old! 1953 – Walt Disney’s Peter Pan premiered in theaters. 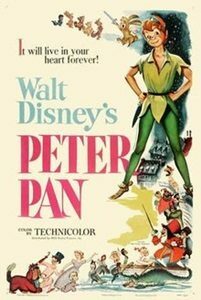 Peter Pan has been labeled as racist in recent years due to the manner in which Disney portrayed the Native American as “Indians”. They were displayed as wild, savage, violent and spoke in a stereotypical manner. The characters often called them savages and at one point Captain Hook referred to them as “redskins”. During its initial box office run, the film – which cost $4 million to produce – grossed $7 million. The movie has earned a lifetime domestic gross of $87.4 million. 1958 – During a practice exercise, a U.S. F-86 fighter plane collided with a B-47 bomber carrying a 7,600-pound Mark 15 nuclear bomb. To protect the aircrew from a possible detonation in the event of a crash, the bomb was jettisoned. 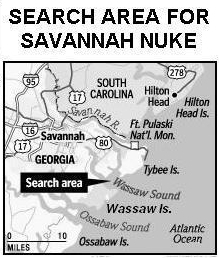 Following several unsuccessful searches, the bomb was presumed lost somewhere in Wassaw Sound off the shores of Tybee Island near Savannah, Georgia. According to the U.S. Air Force, the bomb did not contain a plutonium core and therefore could not be considered a functional nuclear weapon, though that has been debated. In any event, it was never found but that’s not the end of the story. During the Cold War, the United States military permanently “misplaced” at least six nuclear weapons … and those six bombs have a combined explosive force 2,200 times the Hiroshima bomb. 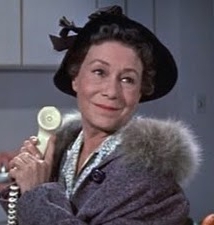 1969 – Actress Thelma Ritter died of a heart attack at the of 66. 1969 – Turn-On, a sketch comedy series similar to Laugh–In, premiered on ABC. How bad was it? Cleveland affiliate WEWS did not return to the show after the first commercial break, opting instead to show a blank screen. Several stations in the later western time zones decided not to broadcast the show at all. 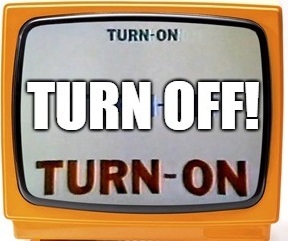 Two days after the premiere, ABC announced that Turn-On would go on hiatus. 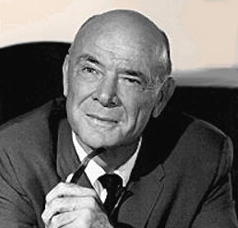 1991 – Actor Dean Jagger died of natural causes at the age of 87. He starred in television’s Mr. Novak and appeared in nearly 100 films, including The Robe, White Christmas, King Creole, Elmer Gantry and won an Academy Award for Best Supporting Actor his role in Twelve O’Clock High . 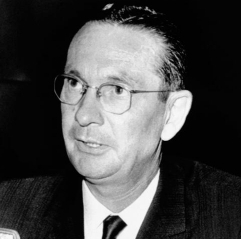 1994 – White supremacist Byron De La Beckwith was convicted of the 1963 murder of civil rights leader Medgar Evers, and given a life sentence by a racially diverse jury. He died in prison in 2001 at the age of 80. 1997 – A civil jury in Santa Monica, California unanimously found O.J. 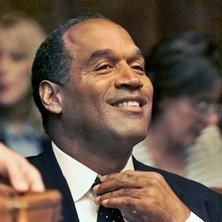 Simpson liable for the wrongful death of and battery against Ronald Goldman, and battery against Nicole Brown Simpson. That judgment, which was renewed in court four years ago for another decade and enlarged to about $58 million, remains largely unpaid. 2002 – A federal grand jury indicted John Walker Lindh, the so-called “American Taliban,” alleging that he was trained by Osama bin Laden’s network and that he conspired with the Taliban to kill Americans. 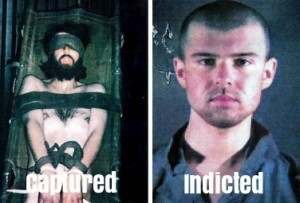 Lindh could have received up to three life sentences and 90 additional years in prison. On February 13, 2002, he pleaded not guilty to all 10 charges. 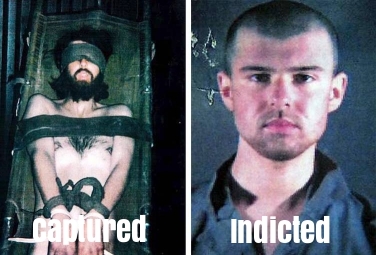 The court scheduled an evidence suppression hearing, at which Lindh would have been able to testify about the details of the torture to which he was subjected. The government faced the problem that a key piece of evidence – Lindh’s confession – might be excluded from evidence as having been forced under duress (i.e. torture). Michael Chertoff, then-head of the Criminal Division of the U.S. Department of Justice, directed the prosecutors to offer a plea bargain. Lindh could plead guilty to two charges: supplying services to the Taliban, and carrying an explosive during the commission of a felony. He would have to consent to a gag order that would prevent him from making any public statements on the matter for the duration of his 20-year sentence, and he would have to drop any claims that he had been mistreated or tortured by U.S. military personnel in Afghanistan and aboard two military ships during December 2001 and January 2002. In return, all other charges would be dropped. The gag order was said to be at the request of Secretary of Defense Donald Rumsfeld. Lindh accepted the offer. On July 15, 2002, he entered his plea of guilty to the two remaining charges and was sentenced to 20 years in prison with no possibility of parole. 2012 – Al De Lory (session pianist and producer) died of natural causes. He was 82. As a member of the famed Wrecking Crew, De Lory played piano on The Crystals’ He’s A Rebel, The Rip Chords’ Hey Little Cobra, The Beach Boys’ Good Vibrations, Sloop John B and hundreds more. De Lory arranged and produced all of Glen Campbell’s albums from 1966-1972. That output included Gentle On My Mind, By The Time I Get To Phoenix and Wichita Lineman.